This fully refurbished, two hundred-year-old farmhouse accommodation is situated on our working dairy farm next to our family home. It is 2.5 miles (4km) from the village of Kilfenora and is within easy reach of a wide variety of amenities and attractions. The Kitchen/Dining Room and Sitting Room are adjoining, with an open staircase leading to a mezzanine overlooking the fireplace. This combined gives the living area an airy and spacious feel. We provide visitors with our own turf to burn in the fireplace for an authentic rural Irish ambiance – however oil-fired central heating is also available for a quick and easy option! 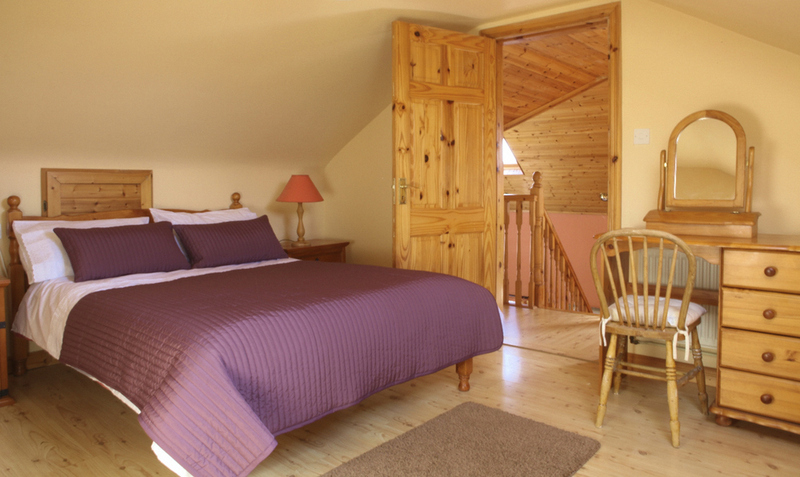 This 'four-star', self-catering accommodation is a Bord Fáilte approved rental cottage, furnished and decorated to exceptional standards, with timber flooring and fittings in all but the kitchen and bathrooms. The kitchen is fully equipped with all modern conveniences: Washing Machine, Tumble Dryer, Fridge Freezer, Microwave Oven, Electric Cooker, Electric Kettle, Coffee Maker, Toaster. The cottage sleeps eight people. There are two double and two twin rooms, of which one double bedrooms is situated upstairs. The main bathroom has a Jacuzzi bath and both of the double rooms are en-suite.